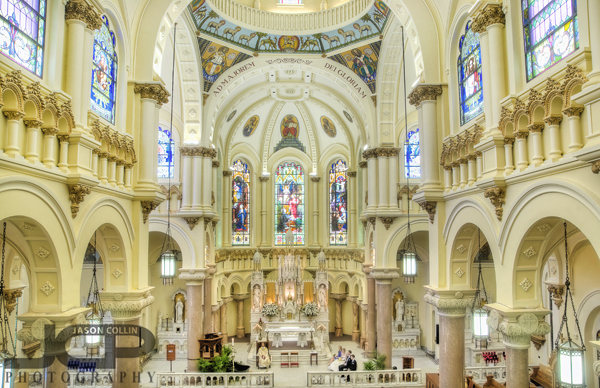 The interior of Sacred Heart Church in Tampa Florida during a wedding - Nikon D300 Tamron 17-50mm @ f/11 ISO 200 7-exposure HDRWith all the news this week coming out of Rome regarding the Catholic Church and a new pope, I dug into my unedited archives for these HDR images of Sacred Heart Church in downtown Tampa, Florida. These images are from a wedding I photographed in the church back in May 2012. The exterior of the church is very beautiful and elaborate, and as you can see the inside is even more so. 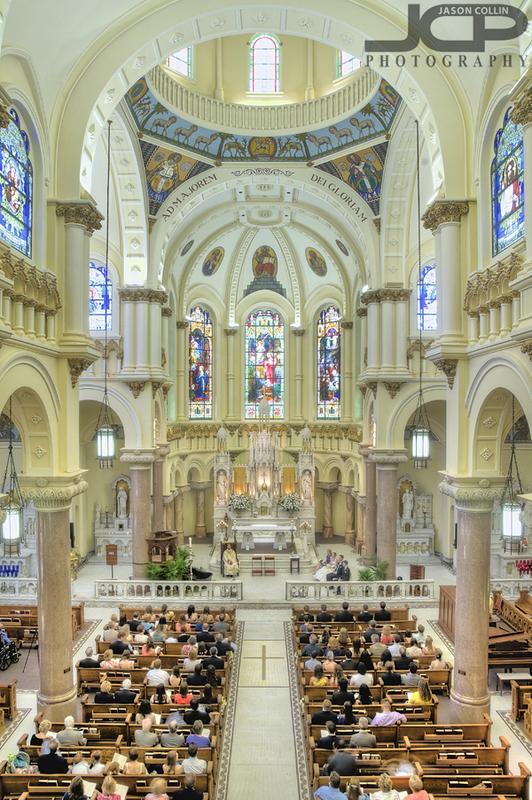 View from the balcony in Sacred Heart Church in Tampa Florida during a wedding - Nikon D300 Tamron 17-50mm @ f/11 ISO 200 7-exposure HDRI was up in the balcony for all these photographs gettings a bird's eye view of the wedding ceremony. When I see such architecture and detail I always think about how much work must go into building and creating something like this. How much planning ahead of time is needed?? 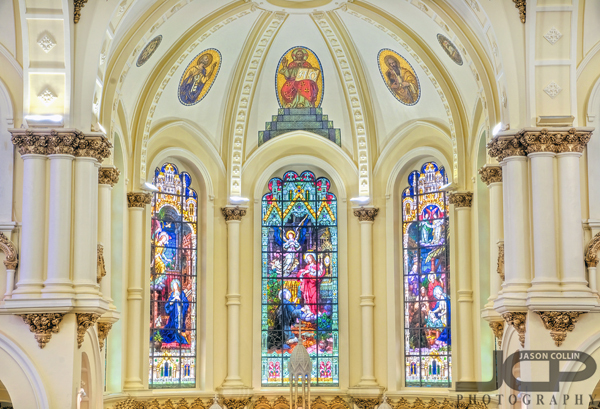 Stained glass windows of Sacred Heart Church in Tampa Florida during a wedding - Nikon D300 Tamron 17-50mm @ f/11 ISO 200 7-exposure HDRThese windows are high up and in the back of the church. Only up from up in the balcony with binoculars could one get a good view of them.